A next-generation, director-class SAN switch designed for deployment in large-scale storage networks, IBM Storage Networking SAN384C-6 Multilayer Director enables enterprise clouds for business transformation. 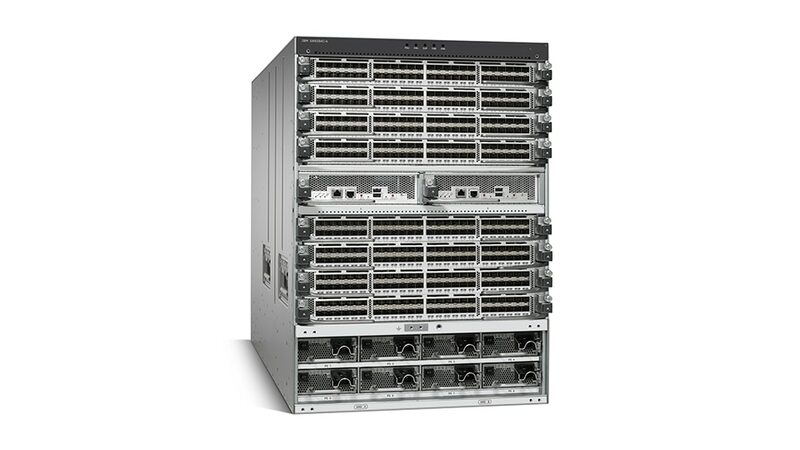 By adding enterprise connectivity options that support FICON, SAN384C-6 delivers a high-performing and reliable FICON infrastructure designed to support fast and scalable z Systems servers. Sharing the same operating system and management interface with other IBM Storage Networking c-type switches, IBM SAN384C-6 enables seamless deployment of unified fabrics with high-performance FC connectivity to achieve low total cost of ownership. Help future-proof the data center for cloud and big data. Combine large-scale storage networks and multiple storage protocols on a single converged network. Attain high availability with fully redundant components, benefit from virtual SAN technology, access control lists and intelligent frame processing. Enables large, scalable deployment of storage area network (SAN) extension solutions with 24/10-port SAN Extension Module.